I Survived the Middle School Meltdown, So Can You! I know, I know, the term “Millennial” has become a bit sour to those of us who were born between 1982 and 2004, and especially to those of us who are hard-working, appreciative, and resourceful when it comes to our time and technology. When I use the term “Millennial,” I mean to distinguish our specific generation of youth—no stereotyping or sweeping generalizations allowed! Many of us millennials, although unique individuals, love what’s currently in style, and we love fashion in general. 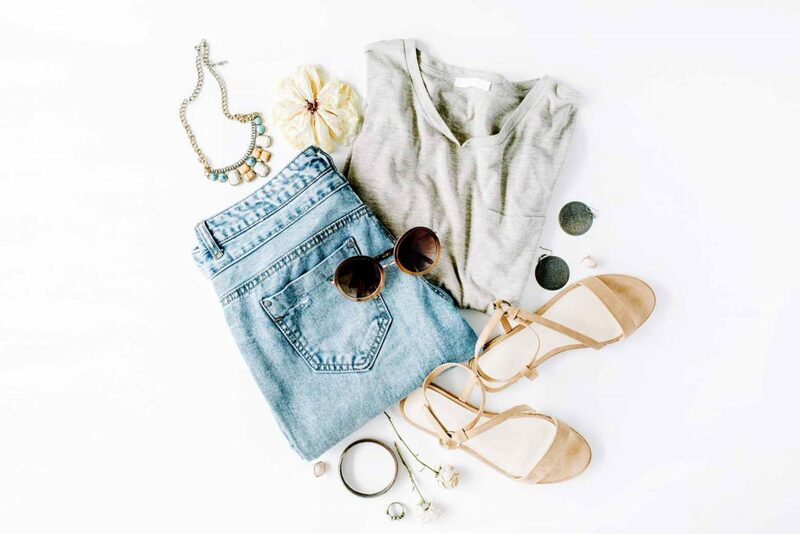 Cropped denim comes in many colors and washes and is a refreshing style to rock with booties, a pair of Converse, fashion sneakers, wedges, or strappy sandals! It is flattering on many body types, whether you’re very slender, petite, athletic, or curvy. The subtle flare on a pair of cropped denim balances out the legs in a feminine way. You can find a more affordable pair of cropped denim at Old Navy, or you can splurge a little and head to Nordstrom to browse their options. If you’re looking for a staple pair of denim for this upcoming spring/summer, grab a cute pair of cropped denim! Don’t miss our article on everything you need to know about premium denim. Bralettes can add a beautiful pop of texture and color to many styles of dresses and tops. You can even wear one underneath a sweater! My personal favorite type and brand of bralette is the Galloon Lace Racerback by Free People (only $20 each!). They carry a variety of color options. If you want a more supportive bralette, Victoria’s Secret also carries high quality bralettes in an assortment of styles. To read more about styling your bralettes, click here! Everyone needs at least one moto jacket in her closet! Moto jackets are made in a variety of materials from suede to leather, and they come in a wide array of colors, too! You can create a city-chic look by pairing a moto jacket with a hoodie. To complete the look, throw on a pair of athletic jogger pants and Converse for a casual day. If you’re getting ready for a dressier night out and need a warmer layer, you can wear a moto jacket over any dress for a mixed edgy and feminine look. These are just a few items most Millennial can rock, but we are an individualistic bunch—so go with what feels right for you and wear it confidently! Chelsea is an aspiring writer and watercolor artist living in colorful Colorado with her dashing husband, Michael, and their two cuddly cats. Chelsea enjoys exploring historic mountain towns with Michael. Above all else, Chelsea loves Jesus and is passionate about loving His people and furthering His kingdom by utilizing her skills and abilities.